Ganley Toyota is a new and used car dealership that offers auto financing for building credit, visit us to get your vehicle loan started today! Our team of professionals understands how difficult it can be to maintain a perfect credit score while also paying your other bills on time. 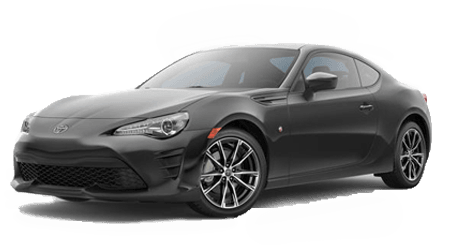 Don't let a past financial mishap dictate your future purchase, team up with a reputable team that cares about your well-being and financial future, contact Ganley Toyota in Akron, Ohio today. Our Toyota dealership can't wait to review your material and explore the sub-prime auto loans that are available to your specific situation. Find auto financing assistance that will get you behind the wheel of that Toyota Highlander you've been wanting, visit Ganley Toyota today! Our Toyota dealership in Akron, Ohio has made it easy to apply for sub-prime auto loans, use the secure loan application that can be found right here on our website! There are just a few simple questions to answer that provide some insight as to your background and if any concerns arise, don't hesitate to reach out to our finance team! Once your form is filled out, send it over to our team! We will be notified as soon as we receive your material and one of our associates will look over your data and run a credit check, ensuring all the information is correct. There are so many situations that can arise in the course of your lifetime and a divorce, repossession, foreclosure or bankruptcy filing shouldn't be held against you! Get the second chance at financing you deserve, reach out to our Ganley Toyota professionals today! If you would like to sit down with one of our experts and get some help completing your credit application, make the short trip over from Cleveland to see us. We are always happy to welcome our customers over to our convenient location and will guide you through the loan application steps. Our finance department has long business hours so that you can always find the time to either drop by or give us a call. Don't trust just anyone when it comes to searching for comprehensive car loan packages that don't stretch you financially, turn to a reputable dealership you can count on, turn to Ganley Toyota in Akron, Ohio today!